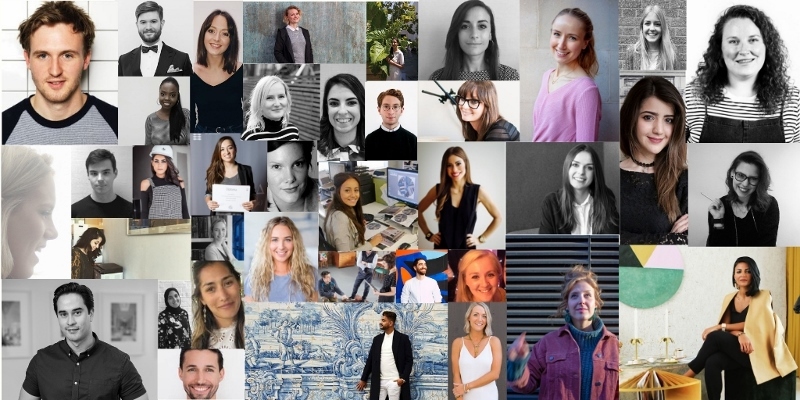 40 shortlisted 30 Under 30 finalists were among the more than 200 interior designers, architects, hoteliers and key-industry suppliers who gathered at Minotti London on March 28 for Meet Up London. The event, which was Hotel Designs’ first networking event of the year, witnessed the unveiling of Hotel Designs’ 30 Under 30. Below are the final winners who have been listed in alphabetical order. Adam Crabtree works closely with the sales and projects team to develop solutions for all bespoke lighting enquiries. As a fundamental part of the Technical team Adam is involved in development of the project all the way from design concept stage to final product installation. Ali Bacon is a dynamic and talented designer who creates thoughtful, memorable places for The Gettys Group’s diverse hospitality clients. She brings more than a decade of experience designing for commercial clients, and her wide-ranging expertise in hospitality, retail, and multi-family residential applications can be found in projects throughout the country and beyond. The most important feature of Anya Gordon Clark’s personality as an interior designer is her desire to create non-banal spaces with a strong mark of her personality along with unstoppable wish to learn new and improve her existing skillset. Catherine van der Heide puts a key focus on a project’s complexity to extract a meaningful and bespoke narrative. As an interior designer at HASSELL, Heide has collaborated on a diverse range of projects throughout the UK, South East Asia and Australia. Since joining WISH London last year, Charlotte Roe has become an invaluable team member who has contributed to the successful design of a variety of projects. Working primarily in the hospitality and commercial sectors, Roe has immersed herself in all aspects of interior design from concept to completion. Charlotte’s passion for current trends and fine detail has shown through in a recently completed high end commercial project based in Windmill Street, Fitzrovia. Daniela Anedda gained a Bachelor degree in Architecture at the University of Cagliari, Italy, and then moved to London in 2016 to study Interior Design at KLC School of Design. During her course, she had the opportunity to work for the Lelievre showroom where she could deepen her knowledge about fabrics and schemes and have a first glance of the interior design world. With M Studio London she now works on high-end residential and commercial projects, following all stages of the design process. David Jelensky moved to the UK in 2011 to enrich his abilities at University Campus Suffolk, studying Interior Architecture & Design. As an innovative designer, passionate about architecture and design, he is characterised by precision and exquisite attention to detail creating elegant technological designs representing purity, sophisticated use of materials, environmental responsibility. This has been captured through his successful design projects as he was rewarded by first class in Bachelor of Arts, Interior Architecture and Design. His skills has been enriched in London and Dubai working on high-end residential and hospitality projects. Gina Langridge is an ambitious and passionate designer who utilises design as a tool to create exciting human experiences. She strives to design spaces that harmonise within the landscape setting, delivering the best possible design solution for both client and guest. Langridge has experience working on a wide range of projects throughout the UK, Europe, Australasia, and the Middle East. 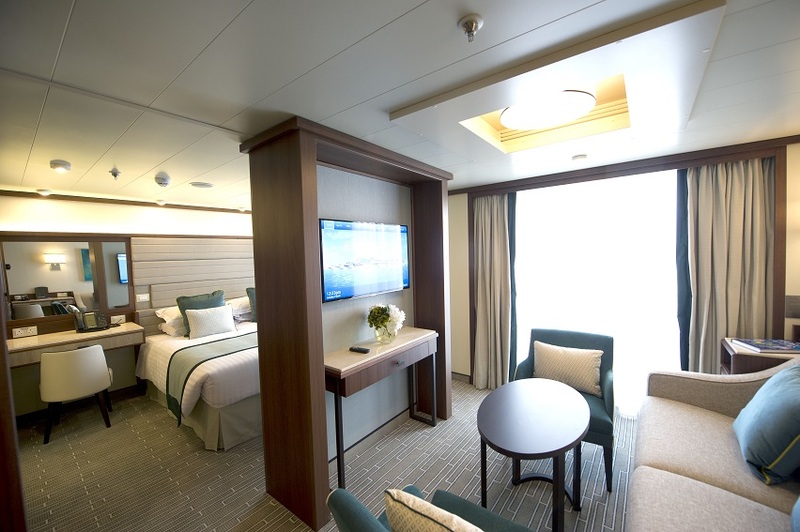 She has a solid grounding in the design of tourism and hospitality facilities, and her involvement in hugely successful renovation projects has strengthened her construction experience. WATG has a robust internal leadership programme, providing a voice and a platform for our young designers to flourish. As one of WATG’s brightest rising stars, Langridge has been selected to take part in the 2019 programme for her excellent communication skills, strong self-awareness and a passion for excellent design. Langridge is a leader of tomorrow and has been successful in exceeding expectations at every turn. Gioia Corrada gained her degree in Interior Design at IED in Milan and then a Master’s degree at Polytechnic of Milan. By the end of her studies, she had learnt how to manage projects, be a team player and to work to high standards with attention to detail. Gioia went on to work for a Design and Architecture studio in Milan which gave her the chance to work on a project for the Salone del Mobile in 2014. After moving to London, she joined M Studio in March 2018 to pursue a career in the world of Interior Design and get a first-hand insight into the world of high-end luxury design. Harry Allnatt, a product and furniture design graduate, joined Richmond in 2011 following a placement year in Milan as part of his degree, which resulted in steering his career direction towards interiors in the hotels and hospitality sector. With a strong eye for detail, Harry enjoys challenging the norm to achieve sophisticated design solutions on many complex projects. 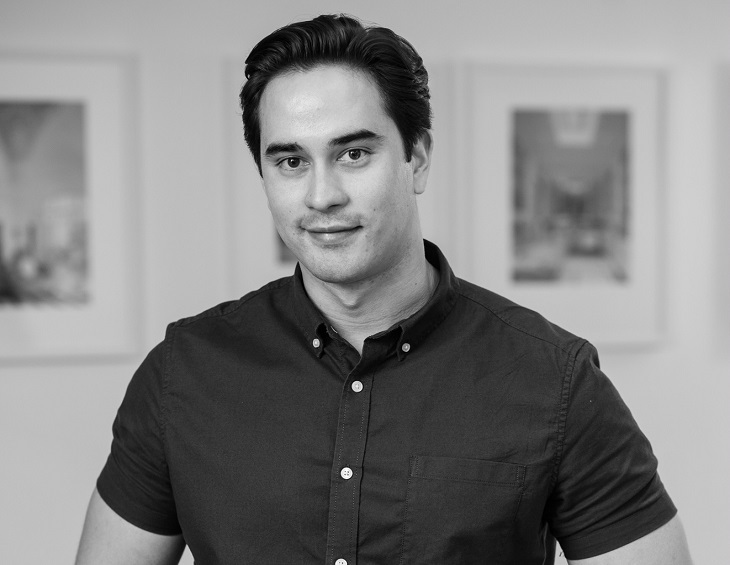 Allnatt has consistently shown creativity, responsibility and an unwavering level of commitment which has resulted in our recognition of his skills, rapidly progressing him to the position of Senior Designer. Jen Lees found her passion for interiors whilst successfully completing her BA (Hons) in Printed Textiles and Surface Pattern Design degree from Leeds Arts University. Throughout her studying, Jen created a number of her own personal collections, aimed at the interior design sector, gaining a wide understanding of the importance of innovation and originality within design. After exhibiting her degree show at New Designers 2016, she began her internship placement year at HBA London, working on a variety of global luxury projects. Now a Designer, with a strong focus on FF&E specifications, she applies her eye to detail and knowledge in material culture to create dynamic and fresh aesthetics to suit every client’s vision, whilst still pushing the boundaries of design to form a unique space. Jodie Hatton was one of the designers at Brintons behind the award-winning collaboration with design studio Timorous Beasties. Unlike most other carpet manufacturers, Brintons designs and develops all of its own looms and supplies carpet to both commercial and residential markets globally. Designer Jordyn Dickson is a native of Chicago’s north suburbs. She draws interior design inspiration from trends in the world of fashion, and — as a talented musician herself — she spends most of the day plugged into artists like Kurt Vile to fuel her creativity. Dickson holds a degree from the CIDA-accredited design program at Indiana University. Josh Piddock completed his RIBA Part 2 at Sheffield School of Architecture in 2015 and joined Project Orange later that summer having travelled India in between. He completed his Part 3 at the University of Bath and fully qualified as a RIBA chartered Architect in 2017. Piddock is currently working on an exciting custom build project in Norfolk, amongst other early stage projects in the office, whilst outside office life most of Josh’s time is taken up in the renovation of his flat in Hackney and in entering architectural competitions with his self-confessed wacky ideas. Kate Jarrett is a creative young designer who thrives in all elements of the design process, from initial concept to project management and site installation. Having joined Scott Brownrigg in 2016, she has excelled in winning the respect of every client she works with. 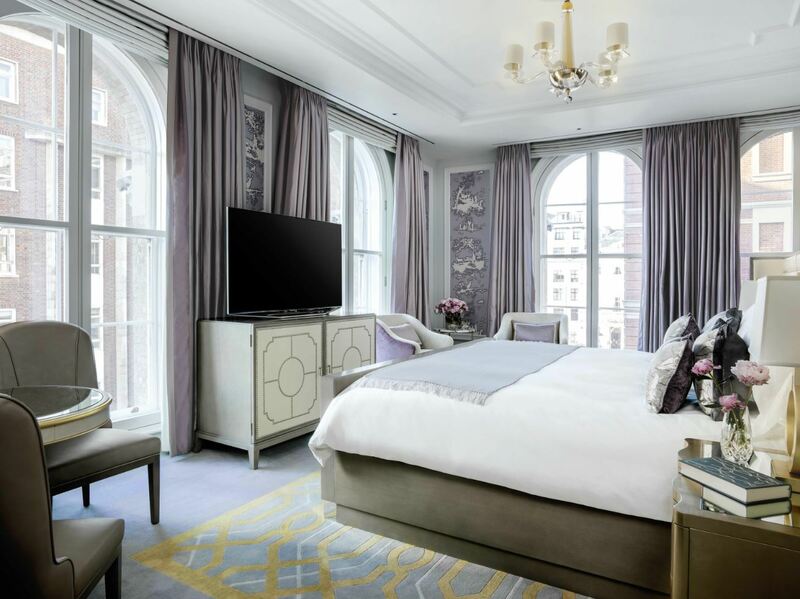 Jarrett has worked closely with glh Hotels and Hard Rock in delivering the public areas for the exciting new hotel located in London’s Marble Arch. She has also been intrinsic in creating a fun, young and Instagram-able hot spot and destination 10th floor bar on the edge of Leicester Square. A key strength is Jarrett’s all-round ability to communicate extremely well with clients, design team, consultants and contractors, with an end goal to produce an exceptional and innovative final product. Kayleigh Jones joined Brintons in 2016 as the result of a close working relationship between the carpet manufacturer and Birmingham City University’s (BCU) School of Fashion and Textiles. Impressed by the originality and inspiring nature of her material concepts, the Brintons panel had no hesitation in awarding the prize to Jones, a graduate of BA (Hons) Textile Design (Constructed Textiles), for her project ‘Puff, powder, Gloss – cosmetictactility’ which was influenced by the seductive materiality of cosmetics. Following this, Brintons decided to offer the young designer the opportunity of joining their busy design department. Lauren McEwen began her career with a five-year stretch at David Collins Studio, establishing herself as an FF&E specialist, with standout schemes for luxury hospitality projects including the Delaire Graff Estate in South Africa and the award-winning Gleneagles Hotel. McEwen was also involved in the design of the public spaces at the prestigious Ritz-Carlton Residences, housed within Ole Scheeren’s Maha Nakhon tower in Bangkok, Thailand, one of the most architecturally significant developments in the region. The project won several major awards including the ‘Best Luxury Condo Development’ at the Thailand Property Awards. McEwen joined Goddard Littlefair in 2018, which has also challenged her ability to design within budget, another constraint the studio believes makes designers become more creative. A committed advocate of craft, McEwen regularly keeps up to date with the latest techniques, visiting workshops and factories to reinforce her understanding of how things are made. Lisa Liu is a RIBA and ARB qualified architect, with a Master’s degree from London’s distinguished Bartlett School of Architecture. Born in China, raised in New Zealand and now living in the UK, Liu has a diverse understanding of culture and locale, which is showcased throughout her work. Having worked on a variety of land-uses; mainly hospitality, residential, and commercial projects; throughout Europe, Asia, North Africa, and the Middle East, she’s contextual within her design process, bringing the local surroundings into the heart of the project. Lisa has been involved in the design and delivery of some of our most memorable recent work. “Lisa is a very talented architect, with great design skills. She has designed some of our most outstanding hospitality projects, and has a great sensibility for context and local culture” Nic Jacobs, Vice President, WATG. Her advanced technological skills have allowed her to become a leader in emerging digital programmes at WATG. She has been a trailblazer in the use of the innovative software, particularly Grasshopper, and is able to use these tools, alongside her impeccable design skills to create a fantastic project. Liu is a natural leader and an incredible asset to WATG and the architectural profession. We look forward to watching this talented individual grow and flourish. Mahesh Parekh’s culturally rich background and his travels back home in India have placed him in a strong position for a colourful career in design. Working his way up the ladder from an intern at ARA Design to now being a junior designer, Mahesh has grown into a confident young creative member of the team who has proven his skills in a number of projects, one of which is Isrotel Hotels. Marion Pierru is a Junior Designer at the Wilson Associates’ Paris office, leveraging nearly five years of professional experience in the architecture and design industry. Prior to joining the Wilson Associates team, Pierru was with George Wong Design, where she worked with clients such as Hyatt’s Hotel Louvre in Paris. Having won the opportunity to be on the design team through a student design competition, the Hotel Louvre project sparked Marion’s passion for the hospitality industry and became the catalyst for the career that has followed in the years since. Marion has also worked on projects such as the renovation of Un Hotel Trait D’Union and Baton Rouge Pigalle in Paris. At Wilson Associates, Pierru assists in all phases of a project’s design. With the approval of the project manager and design director, she prepares a preliminary budget and purchase estimate, secures product samples, and creates specification books and presentation boards. As a primary contact with the purchasing agent, Marion prepares FF&E specifications to adhere to the client’s budget and the overall design direction for the project. At Wilson Associates, Marion works with the design team in Paris on projects across the globe and locally, including the Hotel Scribe in Paris and a range of properties for luxury brands such as Park Hyatt, Carlton and Jumeirah. With more than eight years’ experience in the superyacht interior design sector, Nicola Brook recently set up her own firm, a human-centred interior design and creative consultancy studio based in London. Nicola is looking to broaden the studio’s portfolio into hotel design, believing that this fast-paced sector has many close links to the superyacht market which shaped her creative vocabulary. Omar Nakkash launched NAKKASH Design Studio which specialises in contemporary designs and furniture sourcing as well as designing signature commercial spaces such as Nourish and Parlour Boutique. Nakkash, who is based in Dubai, made his debut as a solo product designer with Trinity, a sculptural table lamp, at the Beirut Design Fair 2018. This year, Patrick McCrae celebrates the tenth anniversary of ARTIQ, the art consultancy he first launched in 2009 to bridge the gap between the art and business worlds and to promote fair pay for artists. Today, ARTIQ is one of the UK’s leading art consultancy, working with an extensive client base throughout the EMEA to bring outstanding art and experiences to businesses and brands and to push barriers constantly in terms of what art can achieve and who it can reach and engage with. Formally a designer at Jasper Sanders + Partners, Rebecca Quickfall is a burgeoning talent defined by energy and enthusiasm, as both studios will agree. Quickfall was an integral part of helping bring Jasper Sanders + Partners’ projects to life. Her creative and thoughtful contribution to every project gives clients the confidence that the solutions are right for their business. Designing for people and creating valuable experiences that are not just intelligent spaces, Quickfall thrive as part of a team and believe collaboration is essential to good design. Immediately after graduating with a first-class honours degree from Falmouth Rosalynn Youdan joined Jestico + Whiles in 2014 and has since played a pivotal role on several unique hotel and hospitality projects across the globe. Her wide experience at Jestico + Whiles also includes the award-winning micro-brewery and pub Shilling’s Brewing Co. in Glasgow, which graced the cover of FX magazine in 2018, and the latest venture for etc Venues at London’s historic County Hall. Sarah Murphy joined Jestico + Whiles in 2014 after graduating from the University of Manchester with a First-Class Honours degree in Architecture. Throughout her time in the practice she has been studying to qualify as an Architect and is currently undertaking her Part III. Her architectural design background has been reinforced through the wide range of hotel and hospitality projects in which she has played a key role. Murphy has formed invaluable connections with the extensive design team and with self-determination remains close to the project to ensure the final product is as faultless as it can be. Murphy is currently leading design of key areas of the design of Titlis Palace Hotel, a beautiful grande dame hotel in a mountainous area of Engelberg, Switzerland, nestled below the shadow of Mount Titlis. Scarlett Supple has now been working in the industry for seven years. Arguably, her largest achievement since joining Soho House Design in 2015 was leading the design of Soho House Mumbai. 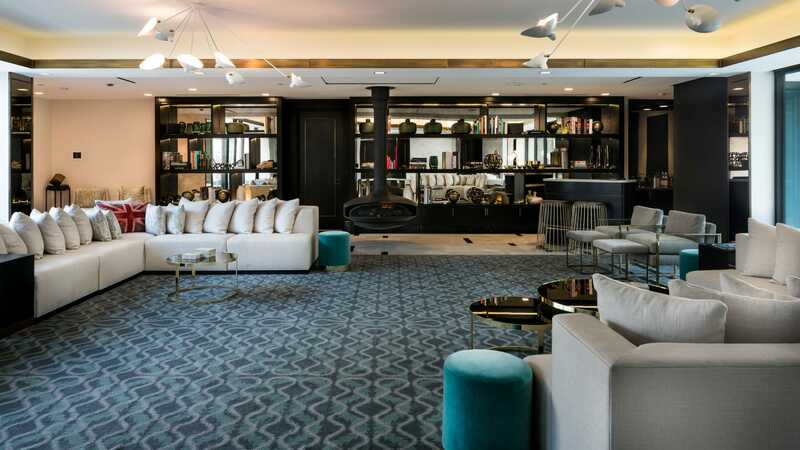 “My time was spent designing bespoke fabric, with inspiration taken from traditional Indian motifs and patterns, working with local craftsman developing bespoke furniture and lighting as well as working with external developers and suppliers to ensure a successful opening of our first Soho House in Asia,” she said. Simona Mirón taps into her boundless creativity to design unique and contemporary hotel environments – providing design expertise on projects from concept through to completion – for some of the most challenging clients not just in the Europe but also in Saudi Arabia, Malta and North Africa among others. Mirón is currently leading on the design of a complex 5* Hotel in the Middle East that’s part of a $300 million redevelopment. Her responsibilities include providing design expertise, collaborating and coordinating with 11 consulting firms in order to develop solutions that embody her client’s vision and needs. Leading the design of 5* Hotel that’s part of a $300 million redevelopment in the Middle East. Winner of Europan 13, biennial competition for young architects under 40 years of age to design innovative urban design schemes across Europe, out of 1,862 entries across 15 countries for her Stavanger Project. Winner of Gensler’s Design Excellent Award which celebrates the company’s most innovative projects. Stephanie Riedl’s career began in Stuttgart, Germany, where she gained her Bachelor of Arts in Interior and Architectural Design in 2016. During her studies Steph carried out a number of internships covering interior design, carpentry and residential design consultancy. Riedll began working for Dittel Architects in Stuttgart after completing her studies and worked on a number of interior and branding projects. She then moved to G20 Architects where she freelanced and assisted in the design of a new build hotel. Upon moving to London in June 2017, Steph joined B3 Designers; an award-winning interior design and branding studio specialising in restaurants, bars and hotels. Most recently, Riedll also assisted with the design and attended the opening of the recently refurbished Champions Bar & Restaurant at the Marriott Hotel in Frankfurt. From a young age Yosola Akinwumi has always been mesmerised and taken inspiration from the built environment she is surrounded by and her educational paths have guided her in the pursuit of her architecture dreams. She studied Interior Architecture and Design at Nottingham Trent University, which gave her the opportunity to complete a year’s internship with HBA London. After completing her university degree, Akinwumi joined HBA London as a Junior Designer in 2016, fast expanding her skills in technical drawings and FF&E design. She continues to evolve in her design knowledge and flair, creating tailored design solutions. Since working with HBA London, she has been involved with projects in the Middle East, China, Maldives and Europe. The full gallery of Meet Up London, where the 30 Under 30s were unveiled in spectacular fashion, can be accessed here. This month has been about discovery over on the editorial desk at Hotel Designs HQ. 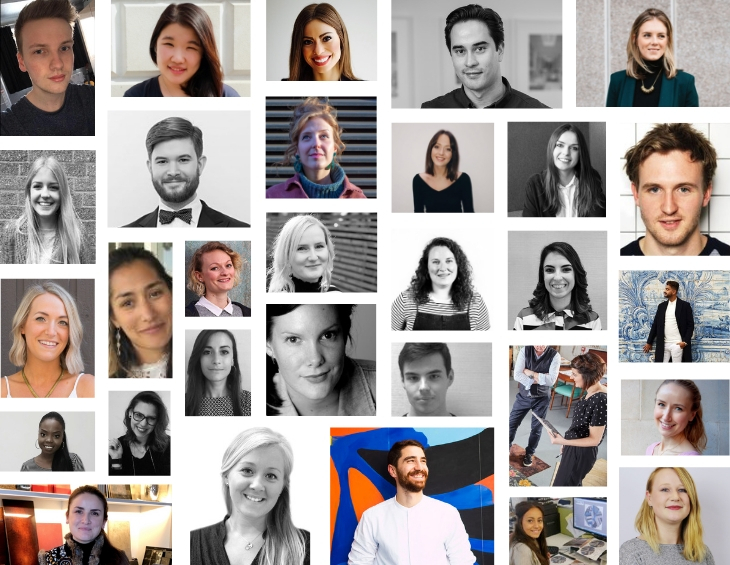 At the beginning of February we opened entries and nominations for our 30 Under 30 initiative, which was the start of our global search for the industry’s rising stars. Make no bones about it, this is Hotel Designs’ pledge to help and really support young designers who are proving themselves to be leaders in the making on the vast international hotel design scene. Whittling down the hundreds of entries and nominations has allowed us to really unearth raw potential and realise that the future of our industry is in good and capable hands. As a 26-year-old design editor myself, I can relate to individuals in our field who deserve to be defined and judged not by their date of birth, but by the work they produce. The time has come to change the perception of young designers form being junior to being superior by showcasing to the world some of the spectacular projects that are being worked on by designers and architects 30 years old or younger. With the aim to do more than just list 30 incredible names, Hotel Designs is also inviting all 40 shortlisted candidates to our Q1 networking event, Meet Up London, which takes place on March 28 at Minotti London’s fabulous Fitzrovia showroom. There are still tickets available if you would like to join us in bridging the age gap between designers, hoteliers, architects and key-industry suppliers. If you are a designer, architect or hotelier, please purchase your tickets here. If you are a supplier, please purchase your tickets here. Nominations, which closed on February 15, came in from many leading design firms such as HBA London, The Gettys Group, WATG, Richmond International, Gensler and many more. Further to being recognised as rising stars on the international hotel design scene, the shortlisted finalists will also be invited, courtesy of Hotel Designs, to Meet Up London to network among a sea of other leading leading names in the industry. More than 200 hospitality professionals are expected to attend Hotel Designs’ highly anticipated networking event, Meet Up London. To purchase your tickets to Meet Up London, click here.